Sitting between my two suitcases–my two worlds. Greetings from Biella, where I’ve had a few days to rest before my next adventure: Spain. I’m going to Spain with my son, Tim, to do the Camino di Santiago. We have budgeted a month to do it, and the biggest challenge is packing for a month in just one backpack. I want to be sure to have all that I need, but I don’t want to over-pack because I’ll have to carry everything I have for several miles each day. While I’ve been here I’ve also tried to organize the suitcase holding the things to take back to the US with me next month. When I did, I found that it was overweight by fifteen pounds, so I had to really put some thought into what I’ll need in the US next month and what can wait until fall. During the process of moving out of the apartment I had left two large suitcases lying open on the floor side-by-side: one for things to go back to the US and one for things to keep here in Europe. I had a third suitcase for more immediate travels as well. As I went through all my belongings, I threw them into one suitcase or the other or into a giveaway pile. The vast majority of things went into the giveaway pile. In this way I filled each suitcase, but not in any organized or careful manner. I’ve learned something about myself through all this: my process for packing involves a lot of whining about all the packing I need to do. So far I haven’t been able to accomplish much of anything without a lot of whining at the beginning. Then I start packing, but find myself easily distracted by friends, phone calls, and Facebook. Finally as the deadline approaches I throw myself into the task and get it all done. I prayed for wisdom to know how and what to pack, and I believe that I got it. The hardest thing to decide was whether to take the computer or not. Finally I decided that my phone will suffice for computer tasks. And most of what I’ll need a computer for is communicating, so the phone should be enough. And since it’s impossible to take a month’s worth of clothes with me, I’m taking just a couple of changes of clothes and a bar of soap to wash clothes with—and the clothes that I’m bringing are mostly things that should dry very quickly. Toiletries are also problematic because we’re flying Ryanair, which is notorious for charging if you have more than one carryon (like a purse in addition to the backpack) or if the carryon doesn’t fit in their sizer. I made sure that my purse will fit inside my backpack for the flight, and that I don’t have any but the most essential cosmetics. I’m going to use that bar of soap for washing my hair and body besides my clothes. Too bad it won’t work for toothpaste as well. The one really good thing about my packing process is that I do get it done on time. I would love to be able to do it without the whining, but so far it seems to be an essential part of my process. In any case, I’m ready to go now. See you in a month. God is good! Besides, Tim will have his computer, so if I find that I really need a computer, I can use his. Every time I fly Ryanair I say, “Never again!” I hate the sneaky ways that they have of making you pay more than the low price advertised, like the extra bag charges. More than that, I hate the non-stop noise pollution of their constant advertising, plugging food and drinks that most airlines give you for free. Traveling Ryanair with an MP3 and earbuds is an absolute must for me. I’m sure I’d go buggy if I had to listen to all that for the entire two to three hour flight. The clock on the train as I passed Tampere, Finland. Five is the number of grace, and my birthday has three five’s and a ten in it: 5 October 1955. I think God is trying to tell me something! I slept well, as I knew I would, despite the looming necessities to get cash to pay for my room, and get my travel to Helsinki settled. When I got up and got some Bible and coffee into myself, I set my GPS to find the nearest cash machine. I went right where it said, but there was no cash machine anywhere in the area. Finally I stopped a man who was walking by. He said, “Follow me.” He walked very fast on legs a lot longer than mine. A few blocks away, he pointed and said that I would find a cash machine by the door (which was out of sight behind a wall). I did find the cash machine there and got the money to pay for my room. The next thing was to get my travel to Helsinki settled. I went to the train station, but there was no ticket office. The only way to get a ticket was the ticket machine. And the ticket machine sold me a ticket on the next train. I hadn’t wanted to go on the next train, but there was no one there and no way to change the ticket. So I headed back toward the B & B. But on the way there was a gas station because I really needed a bathroom. The gas station had a pretty nice restaurant, so I thought I would stay and have breakfast, since I had no food at the B & B. I paid for my breakfast buffet and turned to see Tiina, a friend I had met in Faroe Islands. She was there with her friend and roommate, Jenna, who I had also met in Faroe Islands. Turns out that the restaurant is part of their hotel. So we had breakfast together. And I looked up and there was Tim, a pastor from Canada that I had also met in Faroe Islands. Wow! This was beginning to feel like a real reunion. Tim, his wife, and friend offered me a lift to the church. Of course I accepted. So both of my problems were fixed before the morning meeting started. I was glad because I didn’t want to go with those issues hanging over my head. At the morning meeting we prayed in groups of three. My group was Leena, Pirjo, and me. Pirjo told us that she’s a radiologist at a hospital that has only one doctor of radiology doing the work of three—and he’s looking to move to a bigger city. So that was an issue that we prayed for her, and as we prayed, I told them that I could tell that Pirjo has gentle, healing hands. In fact, I specifically said that I could imagine how gently she would do a mammogram. She said that that is exactly what kind of radiology she does. Our prayer time together was really sweet. They gave us a topic and a few minutes to pray, then another topic, and then the next topic, and so forth. We took turns and it was like one person praying, using three different mouths. It was very enjoyable. Then I went to look for the pedestrian tunnel I had heard about that goes under the railroad tracks. Knowing about it would have saved me the three mile journey my GPS had taken me on yesterday. But it wasn’t where I had been told. In fact I walked all along the railroad tracks and didn’t find even the hint of a path or a tunnel. I started to head back to the church, thinking perhaps to find someone who could help me or at least a place to rest there. But even halfway to the church my right foot became sore, and I began to get discouraged again. So I prayed that God would send me an angel to show me where the tunnel is. Within a minute I got not one, but two angels in the form of my friends Amiina and Nola. They invited me to lunch at their hotel. So I went with them and found that I had been very close to the tunnel, but it had remained out of sight until we got closer to it. They were surprised at my difficulties, but then again, they’re Finnish and know better how things work here. The restaurant at their hotel was called Amarillo—a Tex-Mex place. There were things I’ve never seen before on the menu, and I got one of them: a lamb taco. Since I’m trying to avoid carbohydrates I dumped the contents of my taco on top of a salad. It was pretty good. Not exactly Mexican food, but not bad. Nola had told me that God speaks to her in numbers and in colors, so I told her what the Spanish word amarillo means: yellow. She was thrilled, but never got the chance to tell me why because the church had begun congregating and then singing in the piazza just outside the window. Amiina and Nola finished up to go join them. And I went back to my B & B to rest up for tonight. While I was there Mrs. Järvi came to show the room next to mine to some guests. When she finished with them, I paid her what I owed for the room and she wrote me a receipt. I also asked her if she could call and request a taxi to pick me up at 1:45AM to take me to the train station. She pointed out that it’s close (about half a mile). But I told her that I can’t drag my suitcase and backpack half a mile in the middle of the night. She agreed that it was best to get a taxi. There were four girls in the room across the hall that were also going to the conference. So when it came time to go, and they were still there, I knocked on their door and asked for a ride. They said yes. In the car they chattered to each other in Finnish, and none showed the slightest curiosity about me. That was fine. I was grateful for the ride. And once we arrived at the church I never saw any of them again. The evening session was also really good, and at the end of it Nola found me and asked me if I wanted to get dinner together. Then she asked the nearest person, a man, if he had a car. He said that he did, so she invited him to dinner, too. We went to eat at a gas station—a different one from breakfast. If you’re hungry in Finland, look for a gas station. The man’s name is Harri, and he had a harp in the back of his car. Harri has been taking harp lessons. Nola asked him, “What does the music of the harp represent to you?” Harri immediately answered: “Breath. The breath of God.” Nola does dance ministry, so she and Harri agreed to get together sometime and she’ll dance to his harp music. Harri dropped Nola off at her hotel first because it turns out that he is actually staying in the same place as I am. So I got back at a decent hour and slept very well until 1:15 when my alarm went off, and I had to get dressed and ready to go. I had prepared my bags before going to bed, so that all I had to do was a quick shower and close up my room when the taxi came. He came promptly at 1:45 and took me to the train station. There was a train for Helsinki that was departing as I walked up. My sleepy mind couldn’t understand, it could only panic. I looked at the time and saw that it had left about ten minutes early. Then the sign for my train came up. I had an assigned seat on this nearly empty train. But someone was laid out across all three seats, fast asleep. Since there were lots of other empty compartments I found one where a woman was sleeping alone. I laid out across from her and tried to sleep, but I just couldn’t get comfortable. This trip was going to be about five hours. So after a while I gave up and went to the non-assigned seats. Often I can sleep sitting upright on trains, buses, airplanes, or cars. The train only stopped about five times, but every time it stopped, it stood still for about half an hour. The stopping and starting kept waking me, so all told I didn’t get more than maybe another hour of sleep in ten to fifteen minute segments. As we were pulling into Helsinki I noticed that the time was after nine. I looked at my ticket, convinced that I would be arriving about 8:30AM. That’s when I noticed that I was supposed to have gotten off at the last stop. I dragged my luggage through the whole of Helsinki station looking for the ticket office, but it was closed. There were only machines. Since I couldn’t explain to a human being about the error, I went to a machine and tried to buy a ticket for the train to the airport. But the train company I had arrived on didn’t have an airport train—not from Helsinki. So I had to go to a different ticket machine. But I couldn’t find the airport listed in English. I wandered through the train station, dragging my bag and wondering what I was going to do. Finally I realized that coffee would help. So I went to get a coffee, and the first place was out—a coffee place that was out of coffee, really? Finally I got a coffee and decided to try another machine. This time there was English and I got a ticket to the airport. When I got to Italy I spent my first night in an airport hotel. A good night’s sleep was just what I needed before the next challenge of getting to Biella (and it turns out that you can’t go straight from Malpensa to Biella without heading back toward Milan first). The Father says today, I am not wounding you, I am pruning you. Yield to the pruning, says God. What you have seen as unnecessary and to be avoided is a part of My needful process of bringing you to the very place you have cried out to be. When I was trying to encourage myself on the long, long trek to the church on Friday, I had this very thought, but dismissed it because I thought that it was my own hopes. No! This thought had been God speaking encouragement to my heart. The habits of the past and unfruitful attitudes are being cut away as I prepare you for a seed-fruit-harvest season. Would you like to know what it is for the plowman to overtake the reaper? Would you like to experience everything that you say and do becoming as effective as if I said it or did it? Would you like to see the seeds of your obedience produce a harvest before they hit the ground? That experience is available and in fact, in the book of your days written in the heavens before the foundation of the earth, THIS is THAT time for you! God has been speaking to me for a couple of years about this being a season of acceleration, but as yet I haven’t seen it. Perhaps this pruning is what is needed before the acceleration really can manifest in my life. Your life was never meant to be a gauntlet of endless suffering or interminable waiting for breakthrough that never comes. That is not your portion, so prepare your heart for the level of cooperation necessary to get you from where you are now to THAT place of richness and abundance. These past few days in Finland have felt like a gauntlet of endless suffering, but also big blessings. Your assignment currently is to see yourself not through the lens of your estimation of your shortcomings any longer. Look again, says the Father, look again. See yourself through the lens and through the filter of My potential on the inside of you. If you allow your plans and hopes to be tempered by your understanding of your limited capacities, you will sell yourself far short of what I am actually willing to bring about. I have not chosen you to accomplish the plausible. I have chosen you to achieve the impossible. Get ready, says God. This is also what I have told myself: it’s not me, it’s my willingness to let God move through me. Accept the pruning, says God. Though it may seem like I have cut you to the quick, know this, that a great harvest is ahead of blessing and purpose and a greater works anointing. Keep your eye on that harvest and not the chaff that is being burned away. The fires of My refinement are perfecting My character in you in anticipation of that good thing that is breaking in your life right now. Embrace it. Accept it and know that at the end of the process you will have tasted of the powers of the world to come and seen My promise come to pass in full measure in your life. Yes, this is all for a purpose and is all part of God’s plan. Although I have a tendency to get very cranky when I’m tired and my feet are sore and I’m lost in a country where I don’t know the language, what God is saying is never give in to despair, but believe that all this has a higher purpose. God is good! See My Holy Help on a Difficult Day. Who had interpreted for me last night, see My Holy Help, link above. The Finnish word for airport is Lentoasema. No wonder I couldn’t figure out which ticket to choose for the airport. See My Holy Help, link above. It has been a very long day, but I must write about it. My day started early, waking at four this morning. Those who know me know that four is not unusually early for me, but what was unusual was that I had to start travel just a little before five. At the Zurich airport the agent at check in did a double-take and laughed that I was going to “Coca Cola”—Kokkola, Finland. I was somewhat surprised that she had never heard of it, but wrote it off to her being young and therefore probably new to the job. Everything went fine for the first and second flights, and I got my bag and was about to exit the airport when I saw the information desk. I thought it would probably be best to get their advice on how to reach the B & B that I’m staying at. The man looked at my booking and said, “This is for Finland. You’re in Sweden.” With my heart doing summersaults in my chest, I looked at my flight papers, and sure enough, there were three flights. The Four Horsemen of the Apocalypse? Was Sweden trying to tell me something? My dad was, well there’s no other way to say it: an idiot. But he was a genius at finding the funny stuff even in the midst of his difficulties. Being my daddy’s girl (and therefore also an idiot and a genius), I couldn’t help but laugh at the absurdity of not even knowing what country I was in. I hadn’t realized that I would need to get my bag, exit, and check in all over again. With the check in agent’s assurance that the bag was checked through to Kokkola, I probably would not have gotten my bag if I had known about the next flight. So the information man looked at his computer and told me that I would be checking in at desk number three in about 20 minutes on NextJet. The last flight had very few people on it. The hostess was Canadian because NextJet is run by a Canadian airline, so it was comforting to hear her familiar, distinctly North American English. When I landed in Kokkola I got my bag and exited into the smallest public airport I’ve ever been in. It has one gate, one baggage claim belt, a café, and very little else. There was a woman holding a sign with a whole lot of writing on it and one word on the sign was taxi. It took me a moment to realize that she would be the person to get a ride into town with, so I followed her out the door, but she got into her taxi and left. I stood outside and waited for about an hour. There was a bus stop and a taxi stand, but no buses or taxis. Finally I went inside and tried to call a taxi, but my Italian phone didn’t work. I saw that the next flight arrives at 7:30PM—in 2½ hours. What to do? I saw a man sitting on a chair across from the car rental place. Should I rent a car? That would solve the problem of how to get to Helsinki in time for my flight at noon on Sunday (these difficulties suddenly made the distance between Kokkola and Helsinki very real and very frightening). But the man was not a car rental agent. I asked if he could call a taxi for me, and he did. They told him that they would be there in about half an hour. But just as he finished ordering the taxi for me a taxi pulled up, delivering a passenger. I thanked the man and he explained that he had called a different taxi company for me. The driver called the other company and canceled the taxi for me. Then he took me into Kokkola—thirty minutes away. As you can see, in mid-April there is still snow on the ground in Finland. When we arrived at the B & B it was locked up tight. The taxi driver was kind enough to call them for me. The owner was only about ten minutes away. She let me in and showed me around, and then asked for payment in cash. I hadn’t realized that I needed to pay in cash. I told her I didn’t have the money. She said, “Just leave the money and the key in your room when you leave, and close the door. It will lock behind you.” I couldn’t believe that she was trusting me to get the money to her. My experience with B & B owners is that when they want payment, they want it in advance or you’re not staying there. Get my travel to Helsinki settled. But the evening meeting was probably already starting, so I needed to get to the church where the prayer conference is being held. My GPS took me on a long trip way around on a car overpass (one that had a sidewalk), and then told me to go on the off ramp as if I were a car. I couldn’t safely do that. But I found a bike/pedestrian path that would take me under the highway and over to the side where I needed to be. So even though my B & B is only about half a mile as the crow flies, the GPS took me on a three mile winding trek. By the end of it I was footsore, weary, and about to cry from the relief of finally finding the place. I arrived at the church just as worship was ending. I saw a familiar face right away: Amiina, who I had met in Rome in 2010 for Transform. I had seen her a couple of other times. We hugged, but couldn’t really speak much because of the meeting. I found a seat closer to the front, next to a woman who saw that I was understanding nothing. She began translating until someone brought me a device to listen to the official translator. The pastor started off talking about when you get angry, frustrated, and scared, you’re forgetting who you are in Christ. I knew that this was a word for me. I had actually begun to give myself a pep talk, but was having trouble believing my own words. So this was like God saying to me: “Silly girl! Did you really think I would abandon you?” To be honest, it’s moments like these of being lost in a foreign country where my phone doesn’t work that really scare me. And it’s exactly this kind of thing that I suspected would be in my future if I gave up my apartment to follow God. But as I write this I think it’s exactly for the purpose of training me to stick close to Him that God told me to give up my apartment. Then as soon as I got my translation device I heard my name as a foreigner who had come to support Nordic Prayer. So I smiled and waved. Honestly, I don’t remember a whole lot about the rest of the meeting due to exhaustion. But afterward the woman next to me, my original translator, told me that her name is Leena, and that we had met before. I was shocked. She said that we had met in Åland two years ago. I could see that she looked familiar. I think that I just meet so many people in my travels that I hadn’t remembered meeting her. And the person who had introduced me from the pulpit was Isaiah, who had organized the Operation Capitals of Europe trip to Stockholm, Åland, and Helsinki. This was beginning to feel like a family reunion. But there was an even bigger surprise in store for me: Leena told me that the owner of my B & B was here at the meeting, and she was offering me a ride back. I had suspected that she was a believer when I saw that she had Gideon Bibles in the house. So after a long, difficult, exhausting, frustrating day came blessings—big, beautiful blessings! And even though I still need to get cash to pay for my room, and get my travel to Helsinki settled, I know I’ll sleep just fine. God really has got this! God is good! Proof that what they say is true: God takes care of children and idiots. This is another rooftop sculpture near the UNESCO site. Today I had to check out in order to go to the prayer conference for Moms in Prayer, just a short distance away. Yes, the distance is short, but not convenient without a car. What to do? In the meanwhile, I decided that since I had time, and since God hadn’t told me not to go, I went back to try and find the UNESCO World Heritage Site called Palafittes. The address I had for it was closed on Sunday, but today I was sure that it would be open, and indeed it was. This book was in the window of a bookstore near the University. On the way I got my encouragement in the form of a Jewish restaurant sign. It doesn’t look like the restaurant is there any more, but since the sign was etched in stone on the building, they haven’t bothered to try and chisel it off. This is a primary example of masonic witchcraft architecture. When I got there, it looked like it was just the archaeology library for the University of Basel. But hold on! When I stepped inside the door I saw that there was a Masonic staircase leading up to the library. You might look at it and say that it’s just artistic or whatever. The staircase consists of two curving stairs held apart by two columns and encased in a large cylinder with an opening. Light shines down from above to represent moving up into greater illumination while also entering a womb. Needless to say, I took the building’s back stairs instead. The Helvetii were a Gallic tribe living on the Swiss plateau at the time of their contact with the Roman Empire in the first century BC. Interesting timing: just before Jesus shows up. And about the Swiss plateau: from my train rides yesterday I could see that Basel and all the area around it is pretty flat. I said, “So they must have lived here.” She agreed. Now I had something specific to pray about that name. As she turned to help another person, I turned to leave, praying and blessing her as I went out. Just down the street I had seen the crazy fountain that I remembered from my first trip to Basel in 2007. So on the return trip I took a video of it (which unfortunately doesn’t seem to have uploaded to my computer). Then I returned to the hotel. I had already checked out, but had left my luggage there. I had also gotten permission to make and eat my lunch there in the communal kitchen and dining room. After lunch I washed my dishes and called an Uber. I really like Uber because you don’t have to pay in the local currency. In much of Europe you can’t pay a taxi with a credit card, but the Uber is already paid online. My driver didn’t speak much English. He said he’s learning English. But he really wanted to talk to me, so using all the English he knew, he told me that he’s Kurdish. When his GPS took us the wrong way, he apologized profusely and promised that I wouldn’t need to pay the excess. I told him it’s OK because I know he didn’t do it on purpose, but he insisted, and when the app wouldn’t let him refund me some of the fare, he pulled a ten franc note from his pocket to pay me. I really didn’t want to take it, but he insisted, saying that it would shame him as a Kurd to take my money like that. So I took it, praying a blessing over him which he didn’t understand at all. Never mind, God understands. I just love my cozy little cell. Then I checked into the conference center. This is a great place. The bedrooms are on the floor above the conference room, but the dining hall is a short walk away. In my opinion this is an ideal setup, allowing for rest between sessions, but a nice walk to and from meals. When I saw my room, I was thrilled. It’s a lovely little monastery cell of a room with a sink in it. The shared bathroom is just outside my door. I had missed most of the first day here, but joined the others for dinner and the evening session. I am the only one here who doesn’t speak German, and all of these kind women immediately switched their speech to English in order to include me. Rise during the night and cry out. Pour out your hearts like water to the Lord. Lift up your hands to Him in prayer, pleading for your children, for in every street they are faint with hunger, (Lamentations 2:19). I was surprised because I had just read that verse in my morning Bible time, and this was a powerful confirmation for being here. 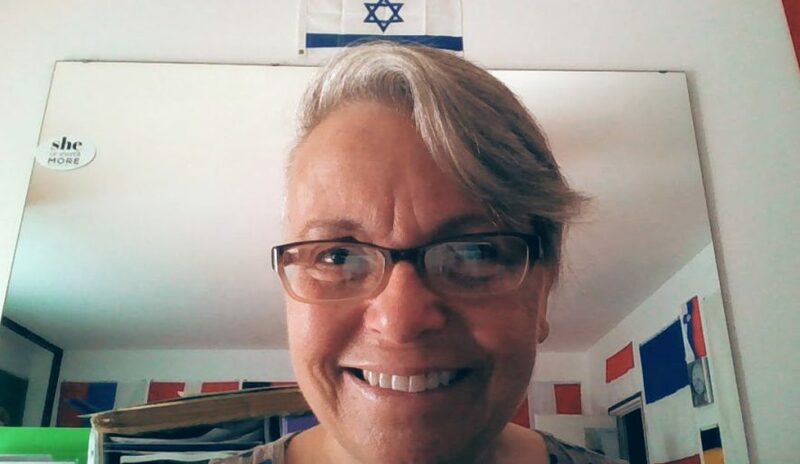 I also got another confirmation for being here: on my first Faith Trip the first place God sent me was to a conference in Budapest, where I met Kathryn, the leader of Moms in Prayer Europe. With a start I realized that the first place God sent me on this Faith Trip was to this conference, where again I see Kathryn. When I told her about this confirmation, Kathryn was surprised and delighted to be used by God to encourage me. That’s the thing, God uses us to bless and encourage each other, but often in ways that we couldn’t have planned for. Go out and bless one another! God is good! See My Day on the Trains. Actually, most experts agree that Jesus was born between 6 and 4 BC, based on the appearance of a slow-moving comet that was recorded in China in the year 5 BC. His crucifixion was between 30 and 33 AD. See My Day on the Trains (link above). And I admit, I was very happy to know that the name was a tribal name and not a Nephilim name. The Kurdish people are the only Middle Eastern people who have stood with Israel, despite being mostly Muslim. Perhaps it is because they sympathize with Israel’s situation, being themselves a marginalized people group with no homeland of their own. Kurdistan should be in the mountainous region straddling the borders of Turkey, Iraq, Syria, Iran, and Armenia. Helvetia is on the Swiss money. Being here in Switzerland, I began to wonder about the meaning of the name Helvetia, which you see everywhere here. So I looked it up. 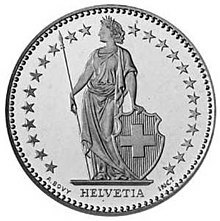 Helvetia is a female personification of Switzerland. She was originally Abundantia, but evolved into Helvetia. The abbreviation for Switzerland, CH, stands for Confederatio Helvetica—the Helvetic Confederation. If you look at depictions of Helvetia, she looks like Lady Liberty. Sadly, Lady Liberty doesn’t have a good history. She was built by a Freemason, and has lots of illuminati secrets. Helvetia may be related. Massive underground bicycle parking in Winterthur. All this was on my mind as I headed out this morning. An organization that God has been talking to me about for a few years is the Club of Rome. The Club of Rome, the Committee of 300, and the Bilderbergers are all transnational illuminati elitists that see the rest of us as sheeple—stupid sheep people who are easily fooled and easily distracted. And each of these organizations seeks to decrease world population by 80 percent—no matter what it takes. They especially hate the American Middle Class, who they consider to be the epitome of sheeple and a danger to the planet. This is why they use symbolism and hide things in plain sight. When you start to see these things, you can’t un-see them. I couldn’t be this close to the Club of Rome headquarters and not go there. Just inside the door of the building where the Club of Rome is headquartered. So I got a roundtrip train ticket to Winterthur, where their headquarters is. I had to change trains in Zurich, which gave me an idea of what to do after I finish in Winterthur. “Don’t ring!” The Holy Spirit told me. In Winterthur my GPS took me on a roundabout route to the Club’s headquarters. In the park near the train station I got my encouragement: a hat. It’s not fancy or expensive. Someone must have dropped it and someone else, finding it, put it on the fire hydrant. I took the hat and then found the Club’s headquarters. It was early, only about 8:30 in the morning. A couple of people were out in front of the building, smoking. I approached the door, praying for invisibility, and got in. The Club was on the second floor. There was a doorbell, and often places like this will only let you in when you ring. But I felt the Holy Spirit telling me “don’t ring.” I reached for the door, and opened it. I could hear people in the back, but saw nobody, and nobody saw me. I walked down the hall and saw a picture of Gorbachev on the wall. Gorby seemed like a good guy because Communism crumbled under him. But he’s high up in the illuminati secret societies. And evidently he’s working in cahoots with the Club of Rome. Gorbachev on the Club of Rome’s wall. So I prayed that their plans would come to nothing. Then I found the bathroom, used it, and took a selfie wearing my hat. As I left, I thanked God for invisibility. Bathroom selfie in my hat from God. On the way back to Zurich, I checked my notes and saw that it would be really easy to hop on down to Lucerne before going back to Basel. In Lucerne there was a covered bridge called the Dance of Death Bridge. I had found out about the bridge through a website called Atlas Obscura. I had been repelled at first by the name of the website. But it kept popping up as I did research. Finally I took a look and found it to be a very useful resource for finding places that need prayer. Atlas Obscura has Cern in its list. That was what decided me to sign up with them. Dance of Death Bridge in Lucerne. The Dance of Death Bridge is the kind of thing I see a lot in Europe’s Catholic Churches. The Catholic Church is a death cult—just look at the crucifix. That’s not to say that Catholic people are bad. But the institution is deeply flawed from its foundation. So I crossed the bridge softly singing He’s Alive. It’s quite a long bridge with two bends and a tower. At the train station I couldn’t find a listing for a train to Zurich (perhaps there would be one in a couple of hours). But I did find a train to Basel leaving in just a few minutes. On the train I wondered what the conductor’s reaction would be. I had two roundtrip tickets: one was for Basel to Winterthur (by way of Zurich) and the other Zurich to Lucerne. I didn’t exactly have a ticket for the train I was on: Lucerne to Basel. The conductor looked puzzled at my two tickets. And I explained that I had gone from Basel to Winterthur, and when I changed trains on the way back in Zurich, I had gotten a ticket from Zurich to Lucerne. I smiled and said, “It probably cost me more this way.” And he agreed, stamping my ticket. Selfie on the modern bridge with the Dance of Death Bridge behind me. On the way back to Basel, I took a quick nap as the lovely farmland rolled past my window. Switzerland is a really beautiful place. I long for the Swiss people to know Jesus. Beautiful as Switzerland is, nothing is more beautiful than knowing Jesus. God is good! Switzerland calls itself the Helvetic Republic, and you see the name Helvetia on the money. See Decoded Statue of Liberty. Or more likely to their ultimate control of the planet. The Atlas also has the Dangerous Crossing listed (see A Sunny Sunday in Basel). Inspired by my church’s Founding Pastor, who belted it in the Easter program last week. God has granted me a transportation anointing, and often I find the transport I need at precisely the time I need it. This is something I began thanking God for before I saw it start to happen. And that is what faith looks like. The ability to sleep sitting bolt upright is part of that transportation anointing, and I’m very grateful for it. This morning started very early with a terrific headache. Immediately I recognized it as an attack by the defeated enemy because he usually chooses to attack me when I’m sleeping. And I knew also why the Lord had allowed the attack: I hadn’t asked Him before posting yesterday’s blogpost (see Hidden in God). I repented and asked the Lord if I should take the post down. He said no. So it remains up. From my trip to Cern yesterday. I also asked my Church Family for prayers. I quickly fell back asleep and slept another couple of hours. When I woke up the headache was completely gone. I had my Bible and prayer time followed by breakfast. My question to God was where shall I go today? I wanted to go to HOP Basel, the House of Prayer. But it is closed on Sundays. As I looked at places in Basel that stirred my spirit, a plan began to gel. Three places along the Rhine River jumped out at me: Gefahrliche Uberfahrt (Dangerous Crossing), The Pharmacy Museum, and Palafittes (a UNESCO World Heritage site). So I set out, and took a tram to the first place, the Dangerous Crossing. But as I watched our progress on my GPS, the tram went farther and farther away from the river. I got off the tram at the French border (at the edge of town) and got on one going back into town. The MissionHaus Hotel, my encouraging sign. One street the tram went down was called Mission Strasse. I had noticed it on the way out, but on the way back I saw something I hadn’t seen before: a big building called MissionHaus. I hit the stop button, got off at the next stop, and walked back to the MissionHaus. It turns out it was just a hotel named for the street. Still, it was an encouragement, and as I noted yesterday, God always gives me encouragement as I’m heading out, so this was it. A random castle on the street of this modern city. As I waited for the next tram to take me back to where I had gotten off in the wrong direction, I saw that I had misread the map, and taken the wrong tram. But God had allowed the mistake so that I would get my encouragement. I got a nice walk from the correct tram to the river and all three sites. English starts about halfway down on the plaque. Traveling the Kymaara, a cognate term meaning the shape of the world, always held the potential of unexpected crossings of unseen membranes into unknown layers of time and space. The story that follows sounds like legend, but this first sentence sounds like science fiction to me. And what is the nearest structure to this place? A Catholic Church. The Catholic Church, you should remember, is searching the skies above Arizona for aliens to baptize. Many MUFON investigators have come to understand that the only way to stop abduction experiences is to pronounce the name Jesus. Why would aliens fear the name of Jesus? Only one reason: they’re not aliens. They’re demons. So I prayed for all ungodly supernatural activity to stop there. St. George slaying a dragon on a Catholic Church. You can see the lance coming out the back of the dragon’s head. From there I walked along the river, enjoying the lovely sunshine. It was warm and very pretty. The trees are budding and my nose detected the hyacinths before my eyes did. But eventually I had to climb the stairs up to street level to get to my next destination: the Pharmacy Museum. The Pharmacy Museum’s snaky sign. I also wasn’t sure why I was even going to the Pharmacy Museum. Why is it that I’m so often clueless about why I am called to go certain places? I guess that’s because it really isn’t my idea, it’s God calling me. He knows why. As I approached the door of the museum, I saw that their sign is a snake hovering over a bowl, tongue sticking out—not a nice image. That’s when I understood: this is sorcery. Lancelot and a friend from the circus. When I went inside there was a tour in German was in progress. The guide was very animated and made eye contact with me. I tried to communicate with my eyes that I don’t understand. Then he went over to an object covered with a sheet. It appeared to be a unicorn skull. I wished that I understood what he was saying about it. Now, I know that Ringling Bros. and Barnum & Bailey Circus had Lancelot, a “living unicorn.” Lancelot was not a real unicorn, of course. He was a goat, and when he was young, they had moved the two horn buds to the center of his forehead so that they grew together as one horn. This didn’t look like Lancelot at all. This definitely looked like a horse skull, and the horn is a whole lot longer than Lancelot’s. The German tour began to bore me, and I started looking around. I saw books on alchemy, and sorcery was confirmed. So I began to pray, the tour notwithstanding. The Pharmacy Museum’s Alchemy and Mysticism book. I got a brochure in English, and the word humanism jumped out at me. The brochure explains that the house the museum is in has been a center of humanism since 1514, and in the 16th and 17th centuries the kitchen became a laboratory, used as an alchemist’s kitchen in which they searched for the elixir of eternal life. I had never considered the connection between pharmacy, sorcery, alchemy, and humanism. But obviously God knows that there is a connection. One last thing I noticed in the brochure was this: the museum is not open on Sundays. But here it was open with a tour on Sunday. This was arranged by God, who has promised me open doors. Don’t call the Fire Department to catch him! This is just a sculpture on the building that the Palafittes is in. Then I walked on to the last place: the UNESCO Palafittes. But that was closed on Sunday—really closed. So I went to buy myself some dinner. I had noticed that the grocery stores all over town were closed. But the one I’ve been shopping at is in the train station. When I got there, I saw that the grocery store was closed at the train station, too. Happily, there is a smaller grocery in the train station that was open. I got everything I needed. I’ve been making my meals here because Switzerland is a very expensive place. Plus, this way I can be sure that I can maintain a low carb, low sugar diet. So I got a steak to cook and some asparagus, and had a lovely meal. I did quite a bit of walking today, and my feet are pretty sore. But it’s been a really good day. I don’t know what God is going to have me do tomorrow, but I know that He leads me. And if you’re reading this, then you know that He has allowed me to post this. God is good! UNESCO World Heritage sites almost all are places where human sacrifice was practiced or at the very least other gods (demons) were worshiped. Or be baptized by! See Pope Francis Says He Would Baptize Martians and Pope Francis says he would baptise aliens and For Pope Francis, It’s About More than Martians. You can read about Lancelot’s story here: The Curious Case of Ringling’s Living Unicorn. Before heading into dark territory, God always gives me some special encouragement. I found this tract at the tram stop as I headed to my first assignment of the day. Since you have been raised to new life with Christ, set your sights on the realities of heaven, where Christ sits in the place of honor at God’s right hand. Think about the things of heaven, not the things of earth. For you died to this life, and your real life is hidden with Christ in God, (Colossians 3:1-3, emphasis mine). Today I went to some very dark territory as God’s Secret Weapon. Upon returning to Europe, I knew that I would have to come to Geneva sooner or later. It turns out that this was the very first place where God called me. I had never before considered the connection between the United Nations and Cern. It turns out that there is a connection—a diabolical connection. The very odd world map at the UN. When I first learned about the United Nations in school, it seemed like such a good idea. After all, if the nations are truly united then there would be no more war. But a closer look at the UN is very revealing. This organization seeks to establish a one-world government. A one-world government is what the antichrist will seek to establish. So who’s to say that he wouldn’t work in conjunction with the UN behind the scenes before he finally comes into power? And there is no doubt that the defeated enemy already has his man in place, waiting to step onto the world stage. In fact, throughout the ages, the defeated enemy has always had someone ready to step in and take control of the world. It just wasn’t technologically possible until now. And speaking of technology, you’re probably wondering where Cern come into all this. I believe that Cern is trying to do the exact same thing that Nimrod was trying to do with the tower of babel: tear open the veil between our world and the extradimensional world of the supernatural, particularly for the purpose of the defeated enemy re-entering Heaven to overthrow God (see Genesis 11). The tower was not a way to avoid being killed in case of another worldwide flood. Otherwise why build it on the plains of Shinar? Wouldn’t you put it on a mountaintop if that was the case? No, they wanted to reach Heaven by tearing open the sky. With the help of the fallen angels, they must have been capable of tearing the veil. That’s why God confused the languages. A map of Cern superimposed on a map of Geneva. It is the world’s largest machine, stretching from the Geneva airport (large white area to the bottom left of the big circle) to the mountains (dark area opposite the airport). The heavens above will melt away and disappear like a rolled-up scroll. The stars will fall from the sky like withered leaves from a grapevine, or shriveled figs from a fig tree, (Isaiah 34:4). The sky was rolled up like a scroll, and all of the mountains and islands were moved from their places, (Revelation 6:14). The Higgs potential has the worrisome feature that it might become metastable at energies above 100 [billion] gigaelectronvolts (GeV). This could mean that the universe could undergo catastrophic vacuum decay, with a bubble of the true vacuum expanding at the speed of light. This could happen at any time and we wouldn’t see it coming. Then the fifth angel blew his trumpet, and I saw a star that had fallen to earth from the sky, and he was given the key to the shaft of the bottomless pit, (Revelation 11:1, emphasis mine). The star is obviously a person because John calls it he. Stars in the Bible represent angels, so this one is a fallen angel. The fallen angel was given the key to the bottomless pit. Cern is doing their utmost to steal it, but God is not going to give him the key before we are Raptured away to safety. Their king is the angel from the bottomless pit; his name in Hebrew is Abaddon, and in Greek, Apollyon—the Destroyer, (Revelation 11:11, emphasis mine). The fallen angel who has the key to the bottomless pit is called Apollyon, the Destroyer. And here’s something you might not know: Cern was built upon the ruins of the ancient temple to the sun got called Appolliacum. And they put a statue of the hindu god, shiva the destroyer, on the site. Could they be any clearer about their intentions? But what is the connection between Cern and the UN, you may ask. Did you ever wonder why both are here in Geneva? I did. Remember the UN has a subsidiary organization called UNESCO. What UNESCO does is seek out and preserve sites of ancient significance. Almost all of their ancient sites are places that involved human sacrifice and worship of other gods that were most likely Nephilim. Witchcraft and satanism, being demonic, need to be in places where there has already been long-standing demonic activity. The key to understanding the connection between Cern and the UN can be found in the Lucis Trust, which is also here in Geneva. Lucis Trust (originally Lucifer) was founded by Alice Bailey, disciple of H.P. Blavatsky. Lucis Trust functions as a spiritual support NGO to the UN through meditation, educational materials, and seminars. At New York’s UN headquarters, Lucis Trust actually has its office in the UN Plaza. Now do you see the connection? These luciferian satanists want to tear the veil between Heaven and earth, and also create a one-world government. But I repeat: God will not allow it before we are Raptured out of harm’s way. So today I went to Cern. I didn’t walk all 15 miles of the collider ring, of course. I would have if I had been allowed inside. But that’s all deep underground. And the receptionist told me that the collider is offline until September. They will run a few months and then be offline for a couple of years for maintenance. But then I went to Cern’s website, and it said something completely different. I suspect that they don’t tell the public very much of anything that’s true. Lies are a key tool of the occult. I also visited Lucis Trust and the UN today. There are other places in Geneva that are in need of prayer, but this is what the Lord had me do today. God is good! That’s not to say that we should be looking for the antichrist, as some people do. We are instructed to watch and wait for Jesus’ coming. Based on 2 Thessalonians 2:6-10, he won’t be revealed until we’re Raptured out of here anyway. See What Stephen Hawking Really Said About Destroying the Universe. See also We should be very scared about CERN. Google those names to find out how deeply satanic these two women were. See What is the Occult? You should remember the words of the Lord Jesus: “It is more blessed to give than to receive,” (Acts 20:35). The generous will prosper; those who refresh others will themselves be refreshed, (Proverbs 11:25). To be honest, not only is it more blessed to give than to receive, it’s also a whole lot easier to give. As long as I was the host, it remained my house, and most things went the way that I was most comfortable. I was mostly in control. Just as the rich rule the poor, so the borrower is servant to the lender, (Proverbs 22:7). Now that I’m on the receiving end, I can tell you that sometimes I long just to have some time to myself. Not that I don’t appreciate hospitality, and not that I don’t enjoy being in the delightful activity of families with children. I love being in the middle of it all. But being a writer, I need time to myself to write. A bit of silence to think and pray is very much appreciated. And perhaps it’s because they are thinking of me, to make me feel accepted, that they include me in all of their activities. This morning Silvia came for a visit over coffee. Then she and Miriam got up to leave. Because I had been included in all of their other activities, I thought I was expected to go with them. Thankfully, this was not the case. Silvia is going for elective surgery tomorrow, and Miriam will be taking her place at work. So Silvia took her to show her the ropes. This is how I found time to write today. And it’s not only that I must learn to be generous with my time and energy in the house of others, but also it’s a matter of allowing them to do for me. Lino and Miriam are not rich. When I met them they were living at La Casa for partly financial reasons. So when they wanted to share the riches of the food packs from Romania, it was hard for me to let them. But I did, and it was amazing to see the joy on their faces when I learned how delicious these treats from Romania are. Indeed, learning to receive puts you in a humble place: your time, your energy, your ego are all at the mercy of your hosts. But there is also a special blessing in this place of humbly receiving. And I know that God will bless them for sheltering, feeding, and sharing their life, and spending time and money on me. I know because I’ve been there. So now is my time to receive. Lord, help me to receive graciously from those who offer me hospitality. God is good! When praying about moving out of the apartment, I really only asked one thing: for God’s perfect timing for everything concerning the move. And that one thing was not only granted, but indeed covered all the rest of the issues involved in moving (giving away the furniture, giving away all the contents of the house, choosing and packing up the belongings that I’m keeping and giving the rest to charity, arranging the utilities shut-off, etc.). At times it seemed like things had gone off the tracks. For example, I had ordered boxes online from a hardware superstore at the edge of town, thinking that they would arrive in a few days. But as soon as I hit the payment button a message popped up saying that my boxes would arrive in two weeks. I was not happy about this, but at this point I was committed. So I went through the house bagging-up things to put in boxes when they finally came. This actually made things a bit easier when the boxes arrived because all I had to do was put the bagged items into the boxes and close them up. Now I am at Lino and Miriam’s house resting for a week after moving out and before being launched into Secret Weapon work. This is also the answer to my prayer for God’s perfect timing in the moving process: a Sabbath week without internet to rest from all the work of moving, but also to rest up before launching into this new direction as God’s Secret Weapon. I have created the blacksmith who fans the coals beneath the forge and makes the weapons of destruction. And I have created the armies that destroy, (Isaiah 54:16, emphasis mine). God gave me Isaiah 54 as a rhema word in 1992. Over the years I’ve read it many times, but it was only this morning that I really began to understand the significance of verse 16. I had always sort of glossed over it, leaping ahead to verse 17 that promises supernatural protection from every attack. This morning what I got from verse 16 is that I am the weapon forged in God’s foundry fires for the purpose of destroying the work of the defeated enemy. This is not to say that I’m something so special. God has lots of Secret Weapons. But I needed to know and understand that everything I’ve gone through: all the suffering, all the pain and loss had a purpose. That purpose was to make me a weapon that can be used in His hand to destroy the work of the defeated enemy. The day after tomorrow I head out for my first assignment, and it’s a heavy one. But the ability to destroy the work of the defeated enemy doesn’t lie in me or my ability, but in the ability of the One I serve. It’s all about God and His Kingdom. All I am and all I have is His. This earth is not my home, no matter where I go, my true home is with Him. Lord, don’t ever let me forget that! All the honor and all of the glory be to our God forever and ever! God is good! Julia, she will be missed! On Sunday as Pastor Fabio was about to start his sermon, he prophesied that there would be sad news from abroad this week. This morning—Tuesday—it came: Nina’s sister-in-law, Julia, died in hospital in Colombia. Her husband, Juan, and son, Carlos, were by her side. Julia had suffered many chronic health problems since a life-threatening car accident more than a dozen years ago. At that time she had lost so much blood (as it was explained to me) that it must have switched off her pancreas so that, although she recovered from her injuries, from that time on she suffered diabetes. In the end she had breast cancer that metastasized and spread all over her body. All of us had prayed continually for Julia and for the whole family. When Miriam read the sad news aloud to Lino and me, our thoughts were for the family—especially for Carlos who will marry next month. Ideally his mother should have been in attendance at his wedding. It’s hard when someone is suffering so much in their physical body, as Julia did, as my dad did, and as Miriam’s mother is currently doing. You long for a miraculous healing that sometimes you just don’t get for whatever reason. The alternative is that their suffering ends. And with that end to suffering there is a feeling of relief. The three of us wept at the news, but more for Carlos and Juan than for Julia. For Julia there is the reward of entering into the presence of Jesus at the end of all that terrible suffering. Yes, Julia knew and loved Jesus, and that is the good news that must triumph over the sad news of her passing. That is the good news that will make Carlos’ wedding a celebration in spite of his mother’s absence. Miriam wiped her eyes and observed, “We were given yesterday to enjoy the Pasquetta BBQ.” God is so generous and good that He did give us our joyous time together, untainted by sad news. All of us have an appointment with death, sooner or later, and we can thank Adam for that. But Jesus, the second Adam conquered death. And that is the message of Easter—Resurrection Day. Even if death wins this battle, it has already lost the war. And that is the good news that comforts and strengthens us to carry on another day. God is good! Except for those of us who are still alive when Jesus comes to Rapture us.